Controlled chaos of the coolest sort. Yesterday evening, the Soyuz TMA-20M spacecraft bearing the new ISS crewmembers of Expedition 47/48 arrived safely at the station. NASA Astronaut Jeff Williams and Roscosmos cosmonauts Oleg Skripochka and Alexey Ovchinin docked to the International Space Station’s Poisk module at 11:09 p.m. EDT/3:09 a.m. UTC. Williams, left, seems particularly psyched for some spaceflight. The station, which was some 250 miles above the western coast of Peru at the time of docking, is now at full crew strength of six spacemen. 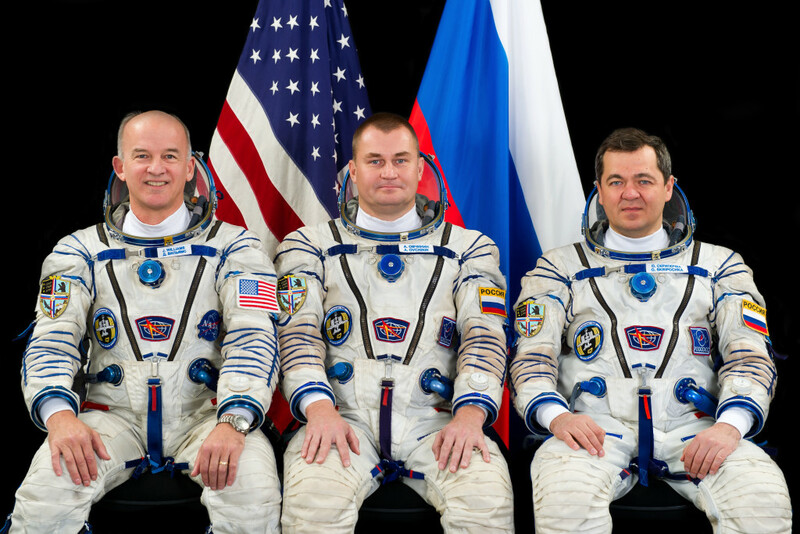 They join NASA astronaut (and current ISS commander) Tim Kopra, ESA astronaut Tim Peake, and cosmonaut Yuri Malenchenko. Tim Peake, Britain's first astronaut on the ISS, has been enthralling audiences with his reports on space life. This week, he drove a remotely-controlled rover called the Eurobot, all while never leaving his lofty perch on the ISS. 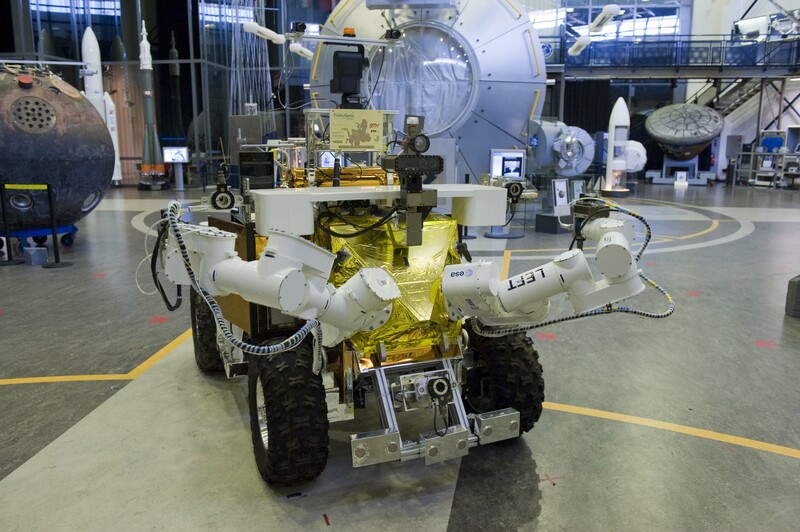 The Eurobot was stationed in the European Space Agency's technical center in the Netherlands, and was controlled via the "space internet" that links the station with mission controllers all around the world. Eurobot, the coolest remote-control car ever. And this was no mere rover joyride. Peake was tasked with maneuvering Eurobot through a simulated space-base that needed solar array repairs, and to manually direct the robot to make contact with the array machinery. 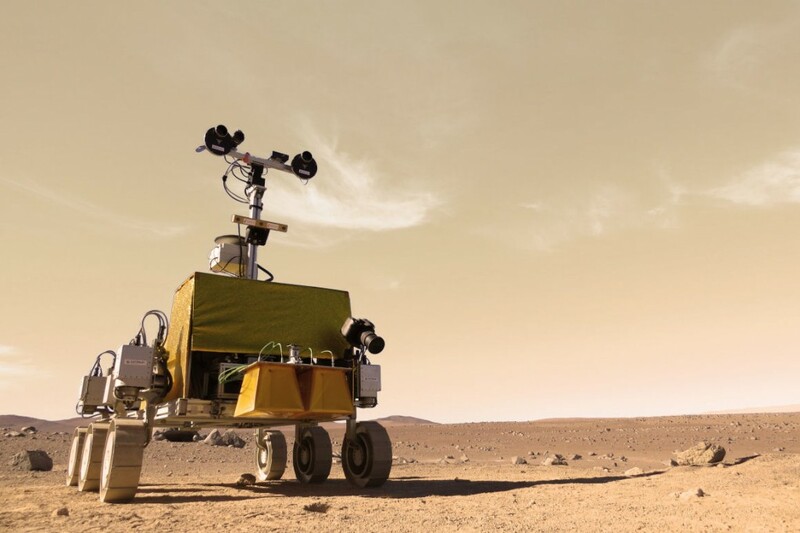 He'll continue rocking the remote vehicles in April, when he will guide a rover named Bridget through a simulated Mars-like environment, in the dark, with no foreknowledge of the terrain. These experiments will be very valuable in learning how humans and robots can interact when tasked with exploring new celestial bodies from afar. Bridget is ready to head for the simulated Martian hills with Tim Peake. Want to see the station for yourself, but are short a few million dollars for a Soyuz of your own? No worries! You can use NASA's Spot The Station website to discern all current ISS flybys, including precisely when and where you can watch the station swoop past your neighborhood. You can even have text messages sent to your phone to keep you updated on the orbits, and to look cool getting texts from NASA. If you want something a little more up-close and personal, you can enjoy this wonderful 3D panorama walk-through (float-through?) of the station, captured by ESA astronaut Samantha Cristoforetti shortly before she headed back to Earth last year. Don't forget to look up and down...you never know where something interesting might be positioned in micro-gravity! That's all for this week, space fans. Swing by next Sunday for even more awesomeness from orbit. Watch this space!